Historic Clark Hall and the Brandon University Original Building. Brandon University (BU) is proud of the strong resources devoted to students, including unparalleled access to faculty, that are on display in the 2017 Maclean’s magazine university rankings, which were released today. Brandon University’s student/faculty ratio was ranked best in the nation overall, across all categories tracked by Maclean’s. With a ratio of 12 to 1, BU easily topped the Primarily Undergraduate category, and the ratio is also better than any university in the Medical/Doctoral or Comprehensive category. Thanks to that large number of dedicated faculty, students at BU enjoy very low average class sizes as well. Ranked against all universities, BU’s average first- and second-year class sizes were 29.9, which was fifth best. In third- and fourth-year classes, the average size at BU was 12.5, which was second best. In the overall rankings, BU slipped one place to No. 17 in the Primarily Undergraduate category. Brandon University ranked poorly in the Maclean’s measures of student satisfaction, particularly in areas of experiential learning, in residence living and in steps to prevent sexual assault. This past spring, when BU surveyed graduating students, 80.4 per cent of undergrads and 93.3 per cent of graduate students said they would recommend BU. Together, that marks an increase in graduating student satisfaction of 22.5 per cent over the previous two years. 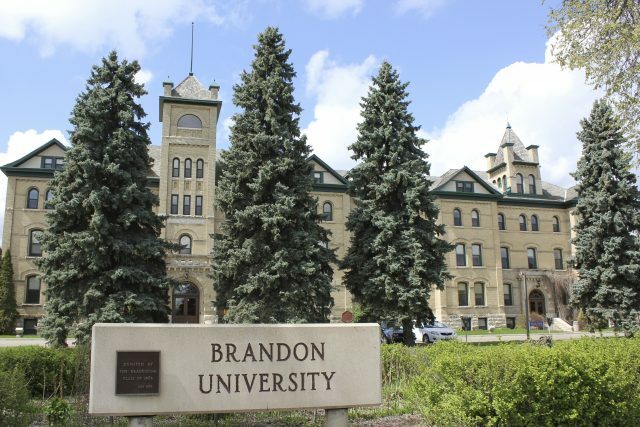 As well, 93 per cent of first-year Brandon University students said in a Canadian University Survey Consortium that they were satisfied or very satisfied with their choice at BU, and 98 per cent said they would recommend BU. Brandon University has also identified student retention and graduation rates as a priority, and has improved both of those rates since last year. Early data from last year’s soft launch of SUCCESS1 shows that the program dramatically improved retention rates for students who entered university with high school grades of under 70 per cent. Student retention and graduation rates at BU are also affected by the large numbers of students who transfer from BU to finish their chosen degree programs at another institution. Also encouraging are some very recent successes at BU that will appear in future rankings. The Maclean’s rankings are useful to identify areas of strength and those requiring further action, President Fearon said.